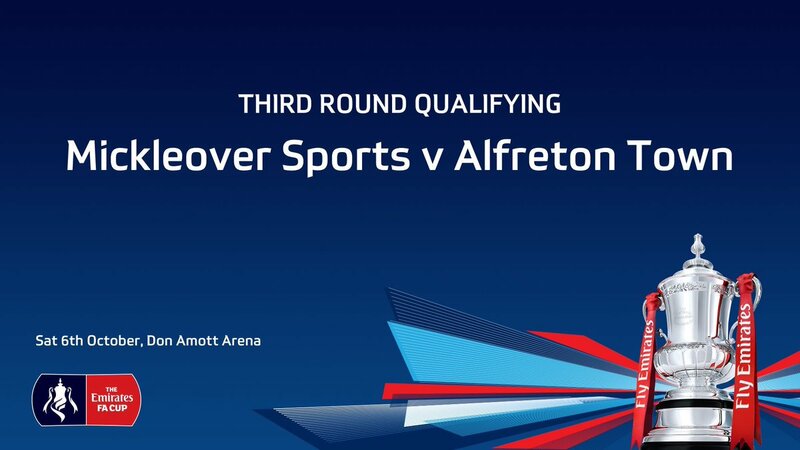 Alfreton Town make the short trip to derbyshire rivals Mickleover Sports in the Emirates FA Cup Third Qualifying Round on Saturday afternoon, kick off is 3pm. It is another break from the league after last Saturday's narrow defeat to Bradford (Park Avenue) in which one headed goal from a corner proved the difference, as the Reds were again left frustrated at the final whistle and slipped to a third league defeat in a row. There was very fine margins in the game and a draw appeared to be the fairest result but concentration at crucial moments went astray and the visitors snatched the points and Billy Heath will be looking for a response again. Although league form has seen a drop down the table, Alfreton will be looking to get back on track; starting with tomorrow's FA Cup trip. The Reds progressed to this stage after a Second Qualifying Round replay win over Sutton Coldfield Town, after trailing 2-0, Heath's men fought back to draw 2-2 in the first fixture, the Reds then dispatched the Evo-Stik Southern Division One side 3-0 at the Impact Arena in the Replay. Our hosts Mickleover Sports sit in 19th place in the Evo-Stik Premier Division with nine points from their first 11 games. Their current league record reads: Played 11, Won 2, Drawn 3, Lost 6. Sports head into tomorrow's tie with no win in their last three games (L2, D1) which includes back to back defeats at Hyde United and Warrington Town. Mickleover's home form in all competitions: Played 5, Won 3, Drawn 1, Lost 1. Sports have reached this stage after a 6-0 win against Haughmond FC in the First Qualifying Round, before a 7-1 win at Anstey Nomads in the Second Qualifying Round. Don Amott Arena Station Road, Mickleover, Derby, DE3 9FB. Please allow extra time to travel to the Don Amott Arena tomorrow due to temporary traffic lights in operation outside the ground due to roadworks. Also, as expected, a larger crowd than normal is predicted for this fixture.